If you see and read the various new digital cameras on the Internet or magazines, then you definitely faced with the choice to buy Digital SLR cameras, compact cameras, pro-sumer camera or micro four third cameras are more and more sold on the market. Are you going to be in the line of micro four third camera users? Perhaps you need to look seriously at the camera the Olympus PEN Lite E-PL5. The Olympus PEN E-PL5 is a mid-range mirror-less compact system camera (CSC) with a 16 Megapixel sensor and a 3in articulated touch screen. For users upgrading from a simple point-and-shoot to an interchangeable lens camera, the Olympus PEN Lite E-PL5 is a very nicemodel to transition to. 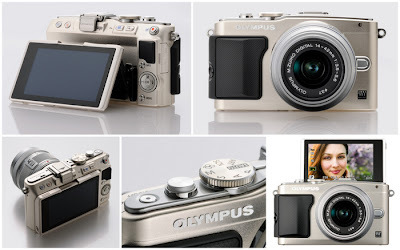 The E-PL5's new sensor is the same as that used in the Olympus OM-D E-M5. Incorporating Olympus' latest OM-D technologies, the E-PL5 delivers the highest level of picture quality available from any Micro Four Thirds system camera. Olympus PEN E-PL5 is slightly smaller than the APS-C sensor in the Sony NEX models and Canon EOS M and produces squarer 4:3 proportioned images. This camera is equipped with M.Zuiko 14-42mm f3.5-5.6 lens which, with a 2x field reduction factor, has a 35mm equivalent range of 28-84mm. The Olympus PEN Lite E-PL5 features the same 16 megapixel sensor from the Olympus OM-D E-M5, a 3 inch tilting touch screen, 6 Art effects ,12 Art filters, and Full HD video with stereo sound as well as 8fps continuous shooting. The Pen E-PL5 builds on the movie capabilities of its predecessor with modes matching those available on the OM-D E-M5 including a best quality 1080p30 video mode. You will enjoy high definition quality movie on LED or LCD TV screen. Olympus E-PL5 has a number of video options, including image stabilisation, colour mode, single-AF, continuous-AF, single AF + MF, manual focus, as well as continuous AF. P/A/S/M modes are available, as well as the option to record MOV or MJPEG. Olympus E-PL5 has a Micro Four Thirds lens mount and can use any of the mature and growing catalogue of lenses avalable in that format, including those by Olympus in addition to Panasonic and other third parties. If you meet with the owner of the Panasonic micro four third cameras, then you can exchange the lens, so it will be mutually beneficial. If you meet with the owner of the Panasonic micro four third cameras such as Panasonic GF5, then you can exchange the lens, so it will be mutually beneficial. 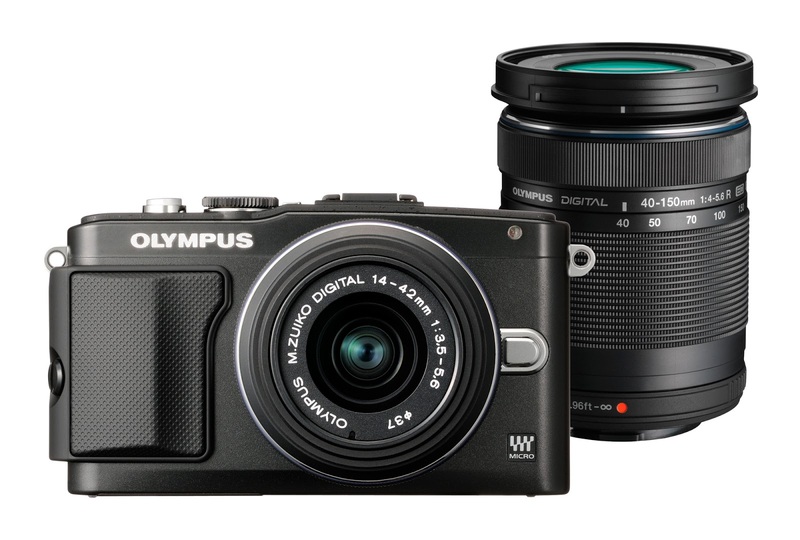 You can count on Olympus E-PL5 for traveling and casual events, business meetings and family events such as birthday parties and weddings. The shape is who is smaller and more lighter than the cameras Digital SLR, then the very comfortable was brought to anywhere. Good image quality and you can use it very enjoyable. Main competitors Olympus PEN Lite E-PL5 include Canon EOS M, Sony NEX-F3, Samsung NX1000, Panasonic Lumix DMC-GF5, Pentax K-01, Nikon 1 J2 and often rivaled by the Olympus OM-D E-M5. Before you decide to choose, you need to compare the Olympus PEN Lite E-PL5 with those brands so you have a comparison of various aspects, especially in terms of price, after sales service, availability of lenses, accessories, photographic quality and other aspects such as a sense of comfort when you hold the camera and use it. You need to read the reviews on the Internet and of course visit the camera shop in your town so you can see and feel before you purchase one of them.